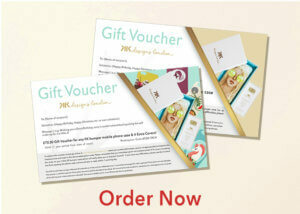 Whether as a present, to celebrate an event or indeed as a promotional gift a KK Designs Gift Voucher is a unique way of saying you care. Lucky recipients will be able to choose from our full selection of phone case designs and have two years to redeem their Voucher. Ideal as Last Minute Gifts – As Vouchers can be sent by text or email they make ideal last minute gifts especially useful around Christmas and Birthday’s! To Order a Gift Voucher simply tick the ‘Gift Voucher’ Option, select the desired phone case, make payment and then complete the returned email Form.